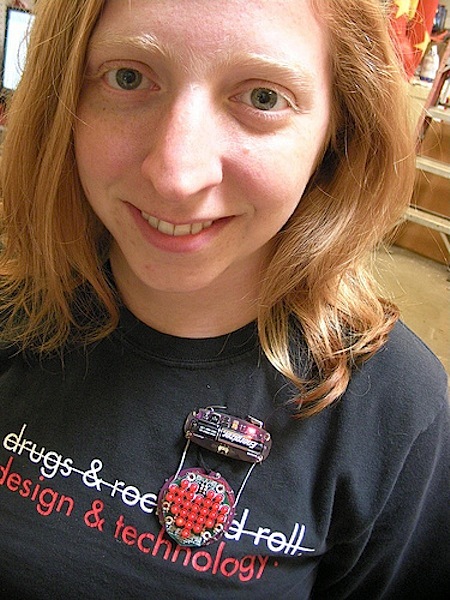 I made this LED heart brooch using a kit called the Open Heart which is basically a bunch of LEDs on a circuit board in the shape of a heart that easily hooks up to a microcontroller. I used conductive thread to attach it back-to-back with a LilyPad Arduino, which runs the animations on the heart. I made an instructable to show you how I put it all together!